Share buybacks have become all in the rage, at least in the US. But what is really at stake when the board is told it is the best use of cash? One of the more noticeable trends in the recent years, certainly in the US, has been the growth of share buybacks. Bloomberg recently reported that buybacks vaulted to a record in February 2015, with CEOs announcing $104.3bn (£67bn) in planned repurchases. That binge has led to growing discontent and criticism over the practice. 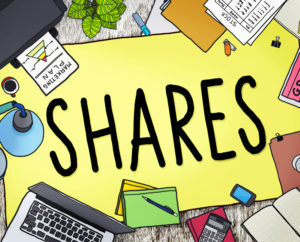 Many fund managers, investors and commentators have criticised management for buying too many shares at too high a price. However, it is also fair to say that share buybacks, done properly, can represent a great chance to return cash to shareholders in a tax-efficient way. The trick, say Simon Denison-Smith of Metropolis Capital, is knowing when, and when not, to launch a buyback. “There’s a prevailing perspective in the industry that share buybacks are inherently bad. We disagree with that, but we also believe that they need to be handled with an investment framework in place,” he says. What lies behind the growing enthusiasm for buybacks? The obvious driver is an attempt to boost earnings per share (EPS), often a metric that can be linked to an increase in management salary. “The role of incentives is critical here, and this is where non-executives come in and must play a significant role,” says Denison-Smith. “And one of the biggest problems with these types of decisions is that they are often being driven by the incentives of the management team, rather than stemming from a capital allocation framework. But if the decision is to return cash, the question becomes whether it should be done via a dividend or a buyback. The answer, according to Denison-Smith, should be fairly straightforward. “The buyback should only be done when the board believes they can buy shares at a level of discount to what they believe the business is worth,” he says, and points to Warren Buffett as the master of this technique. “Back in 2011 Buffett announced he would buy back shares when they were at 1.1 to 1.2 times book value. He had a very clear view that at that price he was getting a better return than if he was to invest it in any number of projects.